I went out to Barnes and Nobles to pick up two copies of Philadelphia Magazine. Why you ask? I spent early August running around to different bars that they sent me on photographing the bars, the people there, and the drinks. It was a really amazing experience and I can't wait to shoot their next assignment. Well when I get a request. But for now I need to prepare for ... V I E T N A M ! I am super excited! Go pick up the magazine, it's out right now! 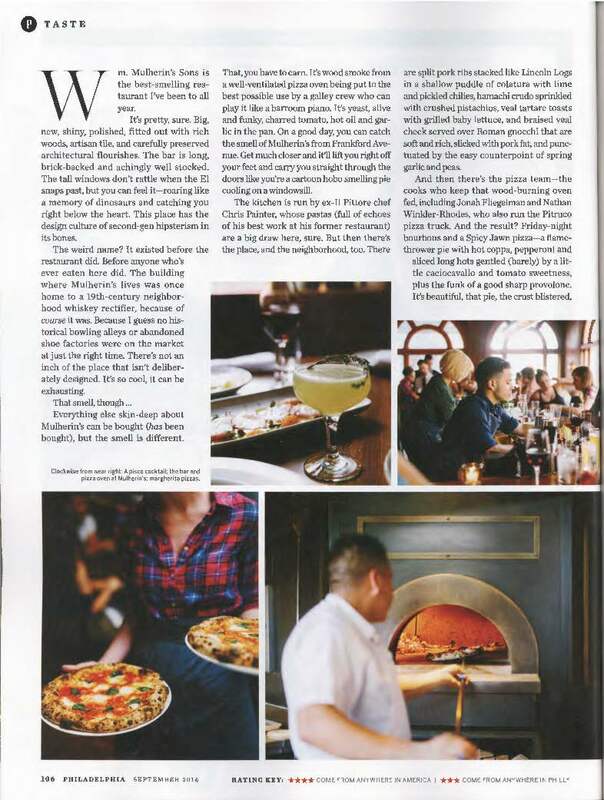 So over the weekend Philadelphia's September issue came out. It is the issue where I got my first assignment from them photographing Wm. Mulherin Son's. Go pick up an issue! My next assignment with them will be out in October for the Best of Bar's photo essay. Look forward to that. I can't wait to share the rest of the work here and or on my exposure, but I am on a NDA. Other than that, I finally booked my 2nd hotel in Vietnam. My plan is land in HCMC and stay there for two days, then fly up to Hoi An and stay for four days, then go to Hue for several days, then to Hanoi for three or so days, and then return back to HCMC before I fly home on the 28th. And in camera news, the Canon 5D Mark IV has been officially announced. And to a lot of uproar to majority of the videographers out there. As a predominantly stills shooter, this camera is definitely one that I will eventually pick up. $3500 is pretty steep. That along with the profoto B1 (and octabank), and fuji XT2 and its lens line up for 24-35-50 (equivalents for 35mm). This is going to be a pretty pricey year.